See the sights in wheeled fashion! Cruise the Coast. Don’t miss this unique way to explore the sites and sounds of the Alabama Gulf Coast! 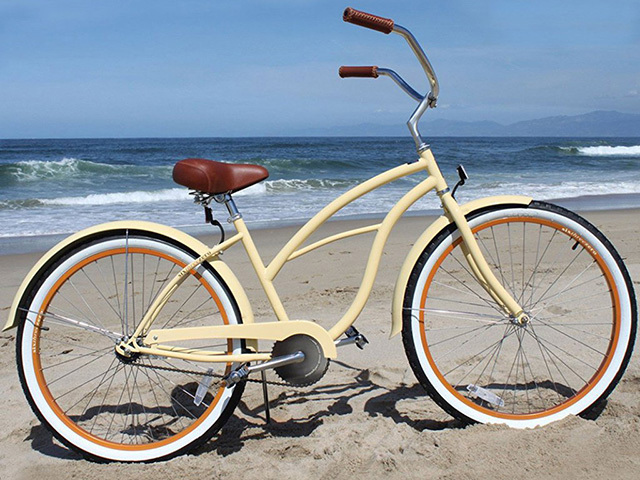 It’s easy to book your Beach Cruiser or Cruisers. Just select the quantity of Beach Cruiser(s) you need and then select the date you need the Beach Cruiser delivered to you. Hit “Book Now” and follow the simple check-out instructions and once completed you have reserved your fun in the sun. We deliver and pick-up all Beach Cruisers according to your weekly rental dates.